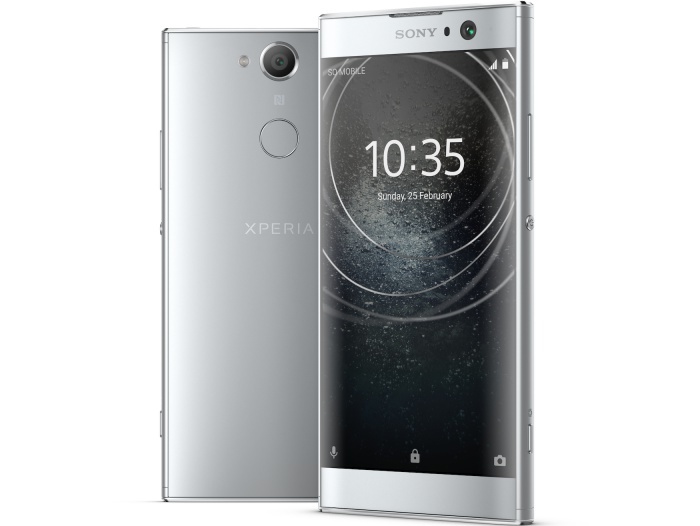 Breaking with tradition but in keeping with recent rumors, Sony couldn’t wait for next month’s Mobile World Congress in Barcelona to unveil its first smartphones of 2018, timing the announcements of the mid-range Xperia XA2, XA2 Ultra, and Xperia L2 to coincide with the Consumer Electronics Show in Las Vegas. Obviously following in the footsteps of the MWC 2017-introduced XA1 and XA1 Ultra, the XA2/XA2 Ultra duo is billed as “borderless”, although both the new 5.2 and 6-inch models settle for conventional 16:9 Full HD screens with relatively wide top and bottom borders. It’s true, their side bezels are nearly imperceptible, and the fingerprint sensors are moved to the back, which qualifies as a significant design change, especially if that means US customers can finally use them. Unfortunately, Sony is yet to confirm that particular “upgrade”, and we know nothing about the official price tags of any of the three Android handhelds launched today. 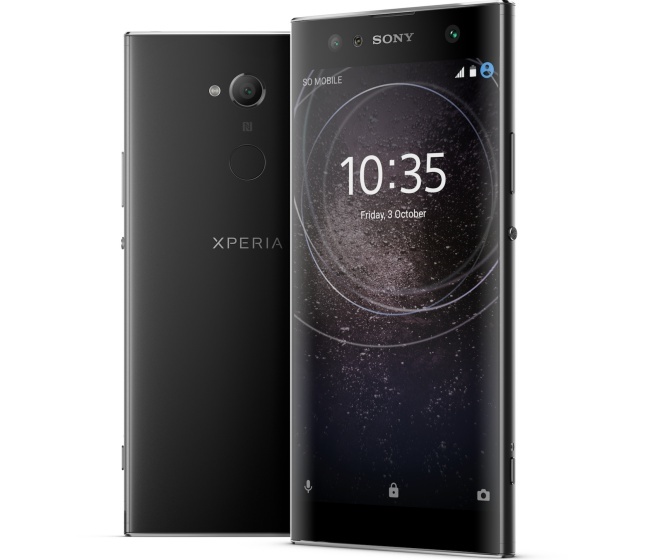 The humbler Xperia L2 will be the first to see commercial daylight, in “select markets”, sometime in “late” January 2018, followed by the XA2 and XA2 Ultra, also due out in unspecified “select markets” in February. Aside from the obvious display size advantage, the Sony Xperia XA2 Ultra stands out from its little brother with a dual selfie camera setup as well. You get 16 and 8MP front-facing shooters on the 6-incher, compared to a single wide-angle 8MP lens for the “regular” XA2. Meanwhile, the two share a respectable Snapdragon 630 processor, very capable 23MP rear cam and modern Android 8.0 Oreo software, naturally differing in the battery capacity department, with 3,300 and 3,580 mAh respectively. 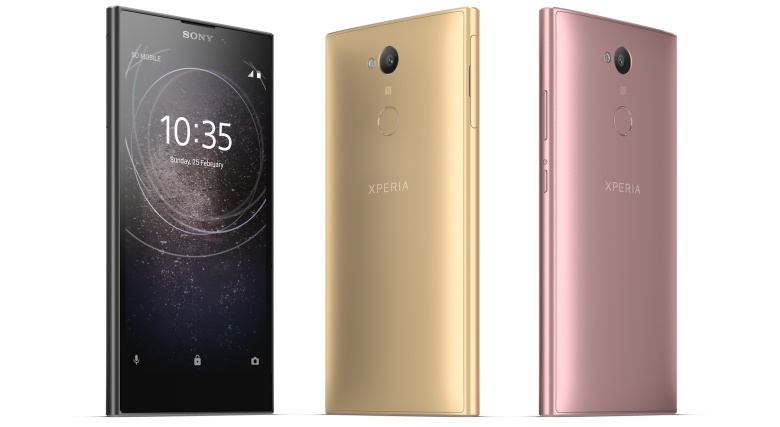 As for the 5.5-inch HD Xperia L2, its “expansive” screen is highlighted as a key selling point, even with middling resolution and thicker bezels, alongside a decent 3,300 mAh battery, 13MP f/2.0 rear-facing camera, super wide-angle 8MP selfie snapper, and “single-touch” fingerprint recognition. Let’s hope the price point is low enough to justify loading this thing with Android 7.1.1 Nougat out the box.